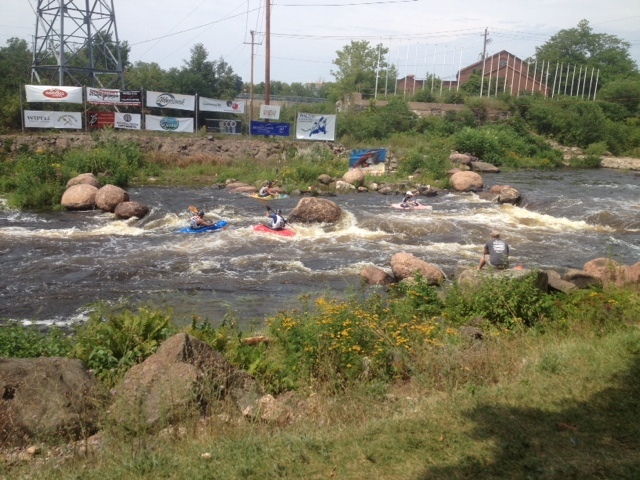 DIRTBAGGIN' THE MIDWEST FREESTYLE CHAMPIONSHIPS ~ a few days atWausau's Whitewater Park. 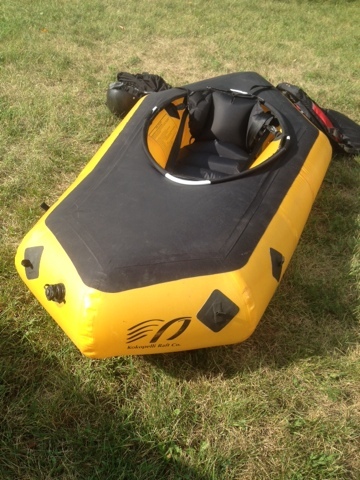 by Chicago Toughill | DBP MAGAZINE ONLINE The World's Best Free Whitewater Publication. 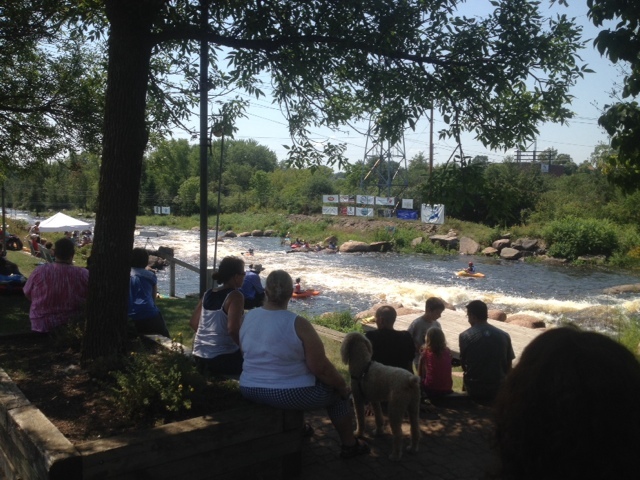 Sitting astride the Wisconsin River, the city of Wausau hosts the Midwest Freestyle Championships every year at their Wausau Whitewater Park. 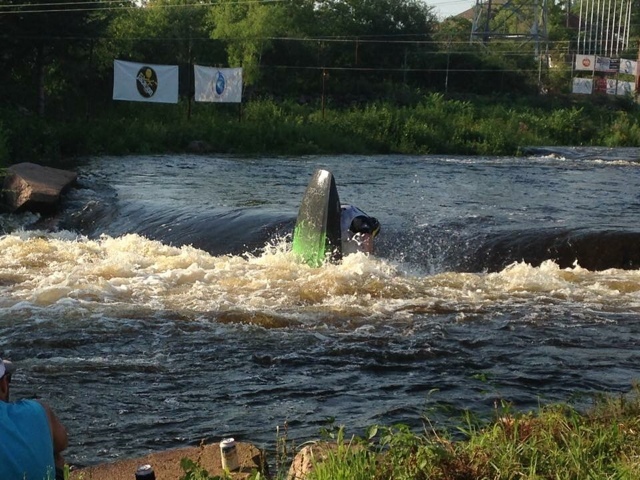 Wausau is the state’s extreme sports capitol, with both the park and an awesome ski hill within the city limits. 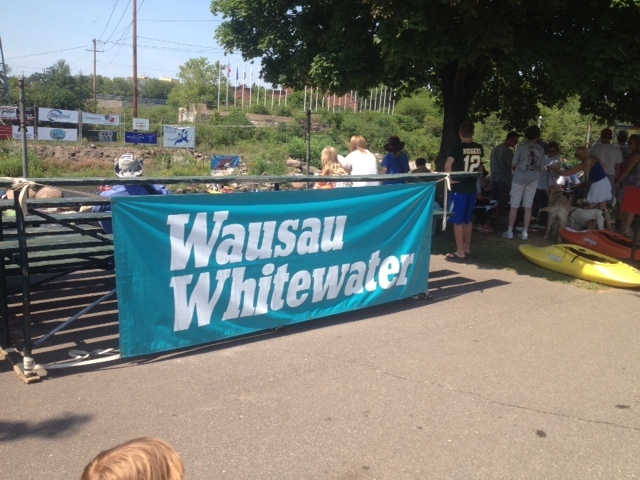 Although I’ve been skiing Granite Peak for years, I had never been to the whitewater park or the Championships before. 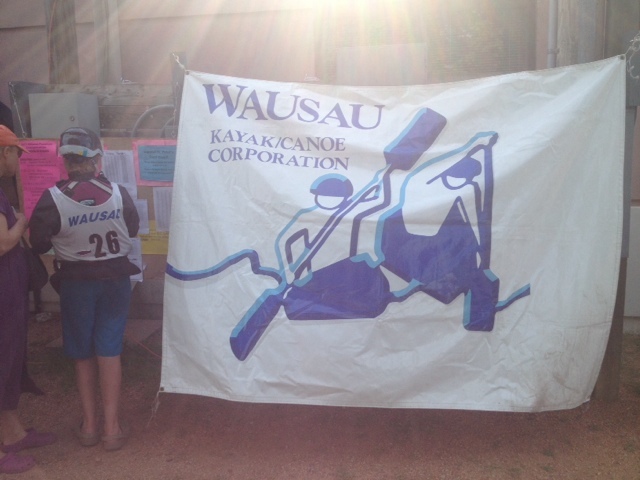 Until recently, the non profit Wausau Kayak/Canoe Corporation didn’t allow inflatables on the course (I paddle an IK), but last spring I learned from their representatives at Canoecopia that this was no longer the case. Then and there I set my sites on this event. Last weekend I got to fulfill that goal, and I was not disappointed. 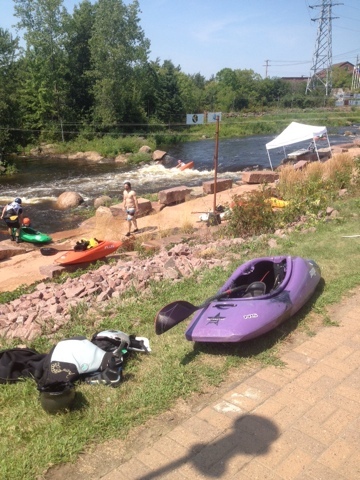 The Wausau Whitewater Park got it’s start in 1974, when local paddler Bill Rypstat approached his neighbor Bob Walraven about the potential transformation of the neglected east channel of the Wisconsin River in downtown Wausau. Used only for managing spring run-off at the time, Bill envisioned regular releases from the dam operated by Wisconsin Public Service, where Bob worked as Divisional Manager, which would allow for a pro-style slalom course. 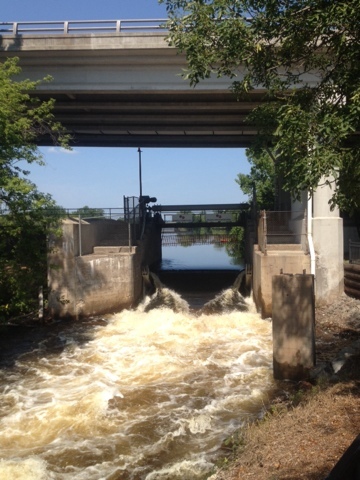 That fall, the dam gate under the Scott Street Bridge was opened, and Charlie Steed became the first boater to demonstrate that kayaks could run the channel. The rest is history. 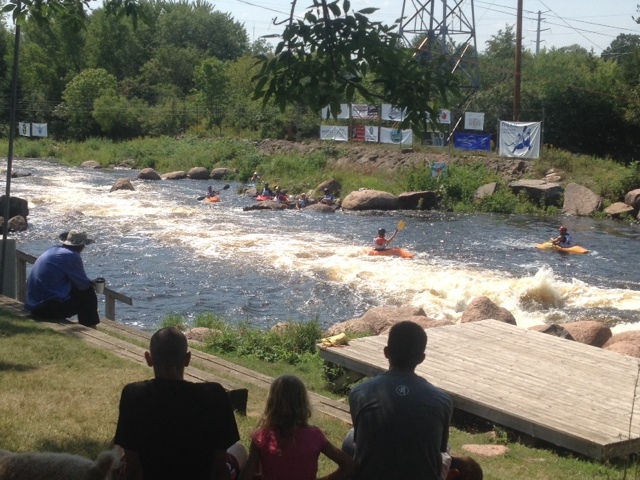 The Midwest Freestyle Championships, held August 15-16, brought together the best paddlers from across the region to compete and socialize. 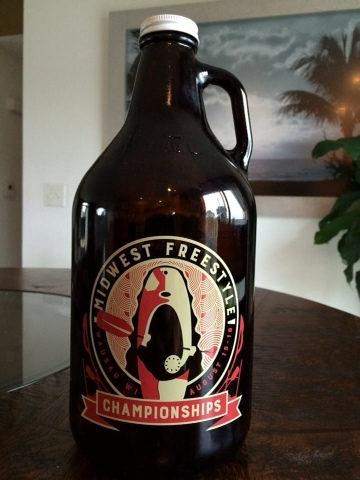 With free camping offered on the grounds for all participants, the fee to run the release was $15 a day (plus a $5 day membership in the ACA) or $45 for the entire weekend with a chance to compete in the freestyle and boatercross events, and paddle with the Jackson Kayak folks. With music from the nearby Blues Festival carried on the evening breeze, it was a great time. I also asked my Facebook friend Nora Whitmore about the scene. Nora is highly respected in the upper Midwest community for her advocacy, writing, photography, and instruction, and we made plans to finally meet in person after working together on a few projects from afar. She told me, “I’m really busy packing and getting ready to leave, but what you should expect this weekend is just fun, friendly competition; serious competition; encouragement; crazy boatercross; night time shenanigans; four square; beer, spills and thrills; and the Midwest coming together as one big whitewater family. Who goes out for ice cream each night. Oh, and they’re giving away a boat. You can’t forget the greatest swag drawing in the Midwest. See you there!” I was stoked! I then hit up fellow Illinois boater and DBP Admin Dan Bowers and made plans to meet up. 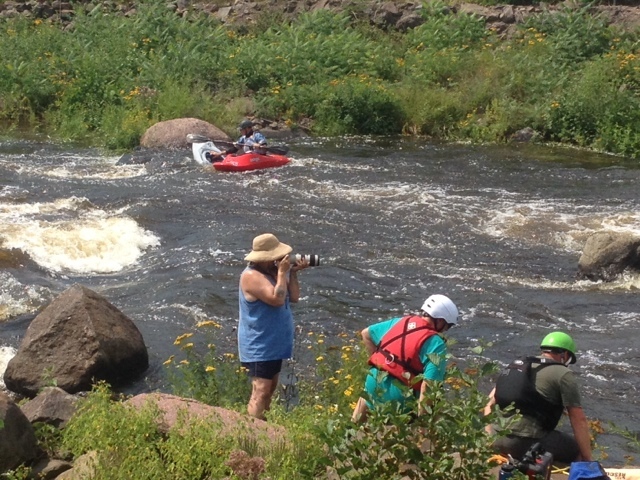 “I’ve only gone a handful of times,” he said, “but every one of my experiences at the Wausau Whitewater Park has been a great one! No matter if you’re a down river bomber, C-1er, or freestyle enthusiast, there is something for everyone at the park to enjoy. 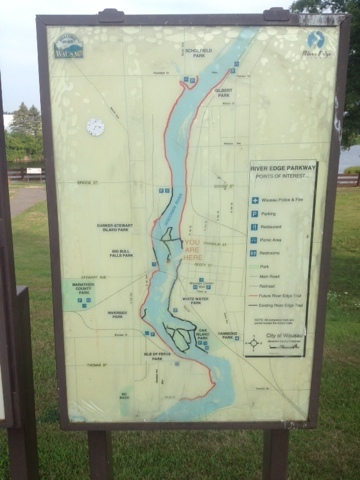 This park is great for both beginners working on ferrying and eddy hopping, to experts dialing in the Phonix Monkey and down river play.” Ok, I thought, well I’m not going to be pulling any big moves, but this is gonna be great! 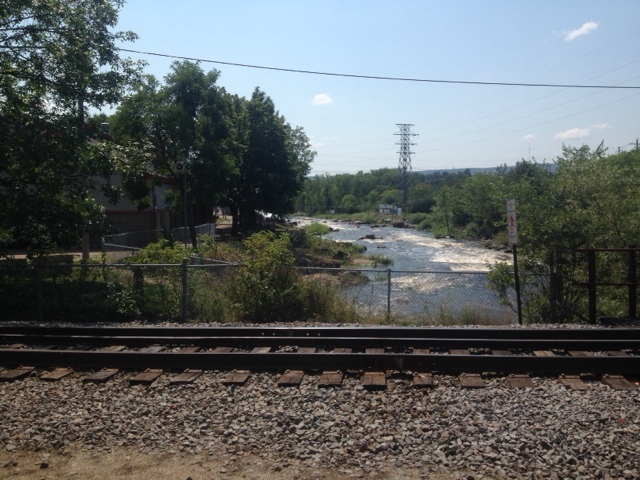 “The community of people and volunteers are very welcoming, embodying the One Love, One River essence. 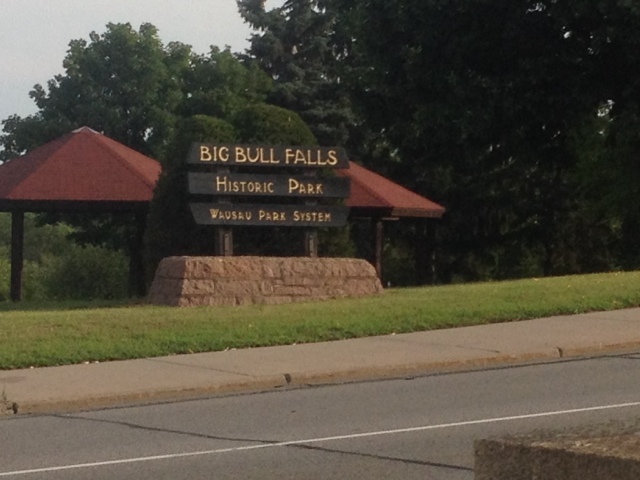 This non-profit park is a much needed gem in the Midwest, especially in the low water months of August and September. 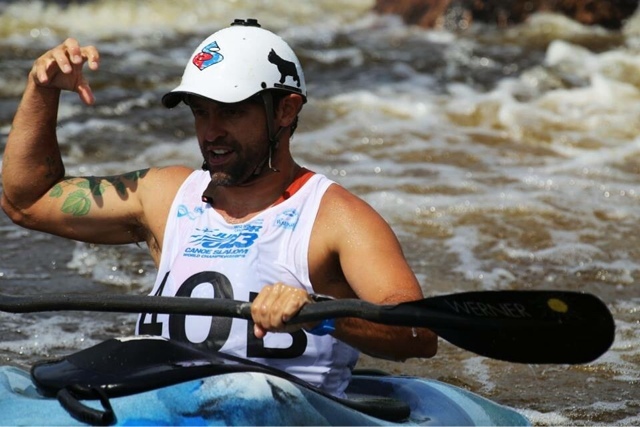 Show your support and come join the party!” With that final encouragement, I contacted my fellow Dirtbags from north and south, including DBP Admin Adrian Ortiz who would be competing, loaded my gear, and was off! Saturday was a classic August day, weather wise, hot and sunny with temps in the 90s. We watched a few rounds of freestyle competition while snacking on fresh veggies from the local farmer’s market held in the parking lot beside where we set up the tent. 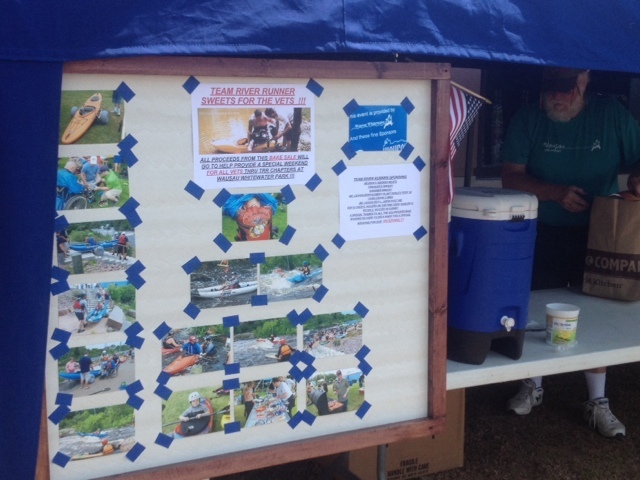 I was especially impressed with the camaraderie and support between the boaters themselves. 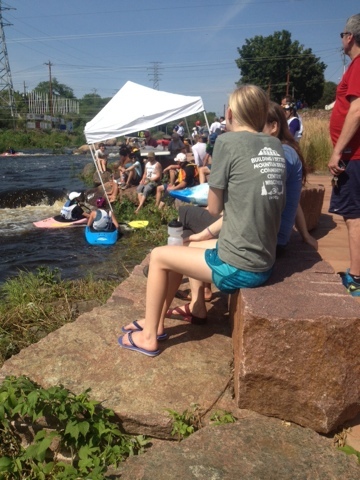 I was sitting a few people away from local legend Craig Esposito of Team River Runner, sporting a distinctive haircut, as he and others in the fairly large crowd called out “Up!Up!Up!” each time a boater got washed out of the hole at Little Drop. There were plenty of spins, loops, and cartwheels, and we were thrilled to watch the young ladies give it their all down at Fourth Drop. Finally, the heat was too much, so I blew up my IK and with Adrian and Dan made our way up to the Scott Street Bridge put-in. Looking back, I feel like a Dirtbag, because at the time I didn’t realize I had to pay to paddle! (I later made up for this by buying an event shirt.) I ran the big drop in at the dam gate, hit the big pillow at the bottom, and WALLACE, got blasted backwards and off my boat! What a great way to cool off! 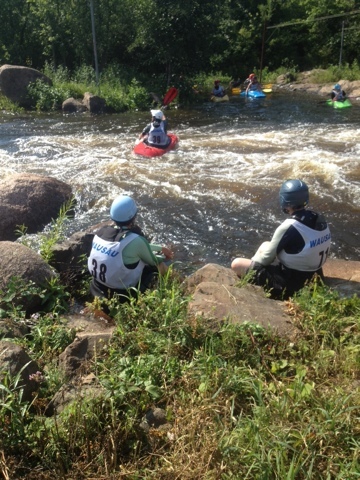 We then ran our boats down to the competition area, which was off-limits to us, surfing all the features and generally having a dirtbag good time. I pulled up my boat below Big Drop, my personal favorite feature of the course, and who do I see standing on the banks, but DBP Admin Aaron Erdrich! I didn’t expect to see him here; he’d been away on business for a few weeks in Michigan, but here he was, ready to paddle and party as usual! I pulled off my vest, handed him my paddle and boat, and he climbed in and started surfing, wearing his BIG NASTY WALLACE flatbrim. An official on shore yelled out to him that he had to wear a helmet… WALLACE! So he strapped on my lid and went back to Dirtbaggin’. Got to help a brother get wet. I also saw Nora as I walked back to my car, recognizing her not so much from the tiny profile pic I knew her by, as from the tiny NORA written at the very bottom of her PFD. She was busy Dirtbaggin’ with some friends, so I didn’t introduce myself… I wish I had, because after that I never had another opportunity. Turns out she spent most of Sunday shooting over a thousand killer photos of the competition, and I didn’t recognize her out of her river uniform! I spent the night socializing with friends. 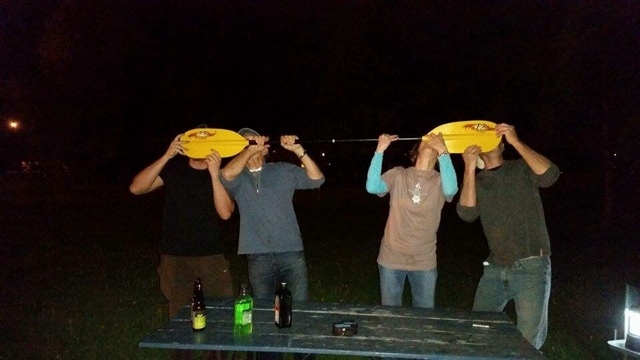 As we walked back to the whitewater park, a lively game of foursquare was going on under the lights in the parking lot, but I was headed back to the cooler for cold PBR. Who should I see as I walk up but another DBP Admin, Dale Guarniere! 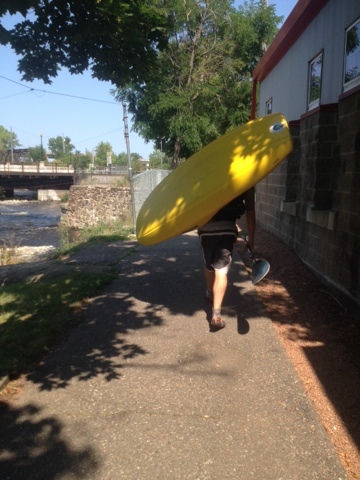 Along with our friend and fellow river guide Mitch Mursau, Dale had made the trek over from Silver Cliff, WI after the end of the workday at Kosir’s Rapid Rafts, where he is the Menominee River Manager, to get his first glimpse of the whitewater park. We were set up beside another dirtbag, our friend Val Jean Marcoe and some members of Liquid Rush. 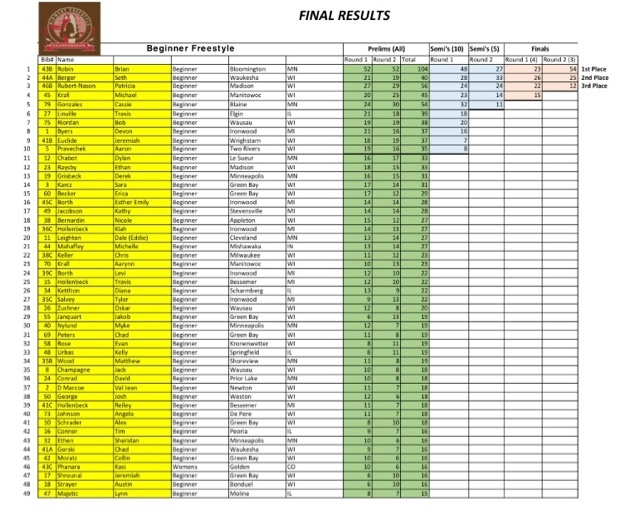 Val Jean had won the surf contest at Frank Fest two weekends earlier, simply by showing up in the middle of a storm! 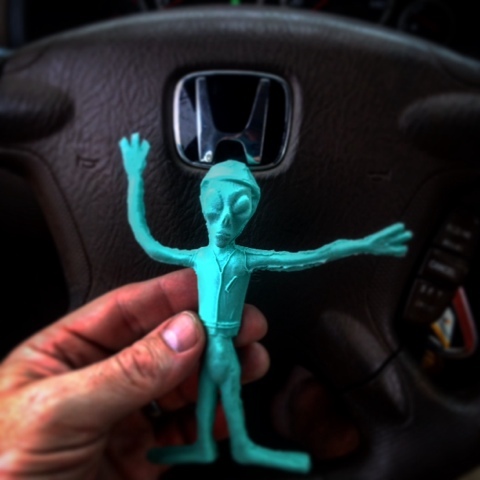 We presented him a DBP shirt and some stickers, and he in return gave us some handmade rubber alien kayakers to hang from the mirror. 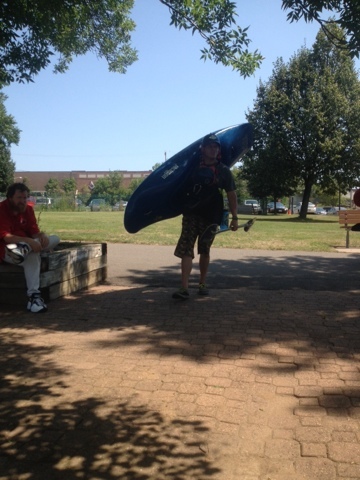 We did a few paddle shots, and Aaron, Val Jean and I proceeded to outlast most of the campers, drinking beer and talking about Wallaces past and plans for the future, stopping in at a few different camps and generally having a dirtbag good time. 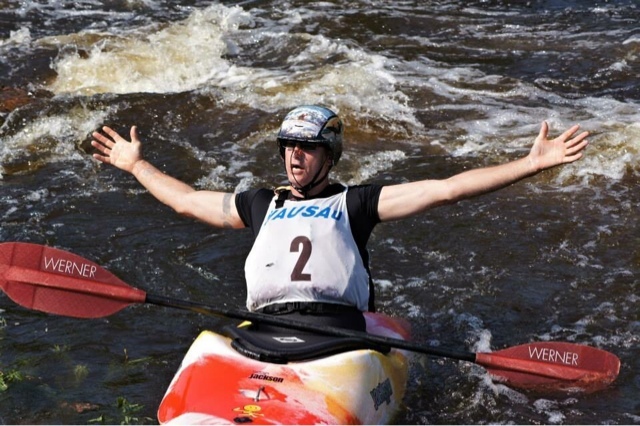 Val Jean told us about how much fun the 2012 ICF Junior Slalom World Championships had been here. 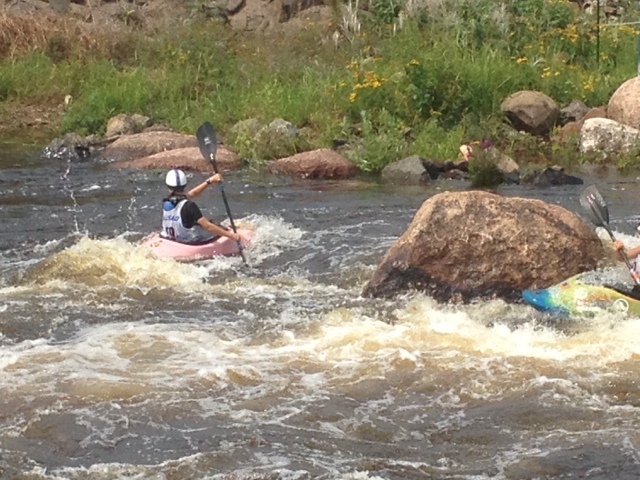 He had met many future stars paddling Wausau that weekend, including Jessica Fox and Nouria Newman, two of the top female paddlers in the world today. 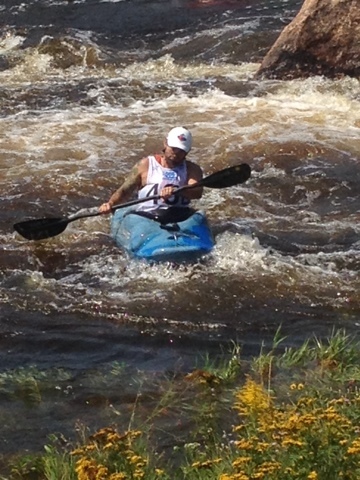 Val Jean is a talented artist as well as a dirtbag paddler. 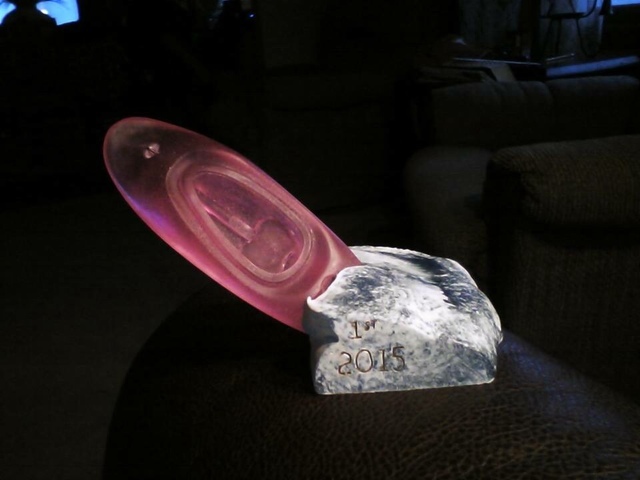 He made the trophies for the event! 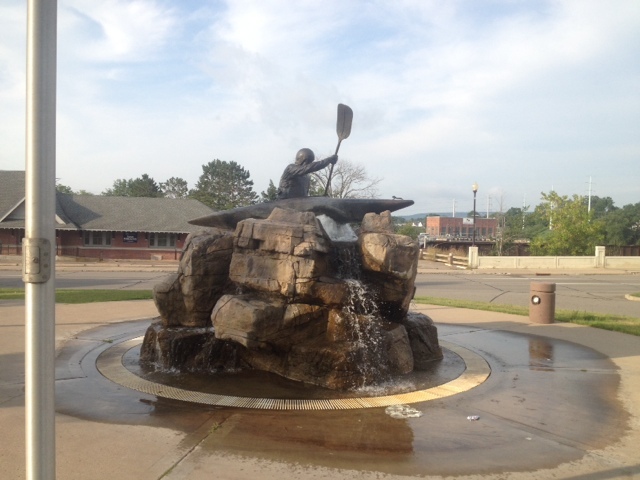 In the morning, my wife and I took a walk over to Big Bull Falls Park to snap pictures of the impressive kayaker statue and have a look around. 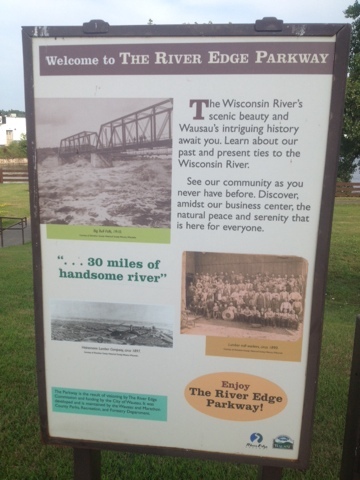 Wausau has always been a river town; it’s foundation was built on the logging trade utilizing the Wisconsin River to send logs to market. 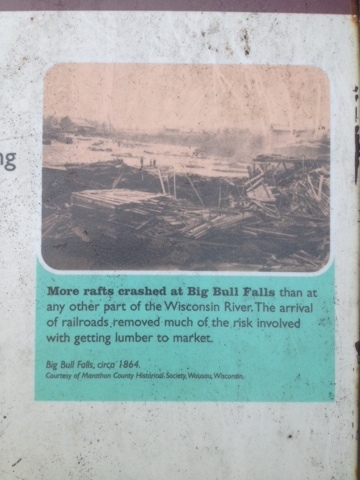 Big Bull Falls, before being tamed by the ingenuity of modern engineering, was a formidable barrier for the early loggers. A nice park with many historical placards and ruined foundations now sits at the head of the island that splits the main channel of the river from the east channel that forms the course. The morning was bright and sunny, and promised to get even hotter than Saturday had been. We had pulled out in the nick of time to watch a great show. It was the only WALLACE of the weekend besides my own. 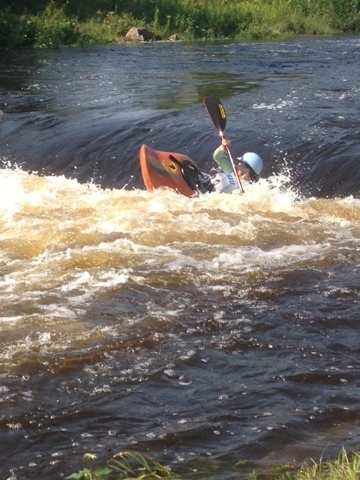 A boater missed his role, and as we sat down, his kayak got broached by very strong current against a big boulder just downstream of Little Drop, and he could barely keep his head above water. 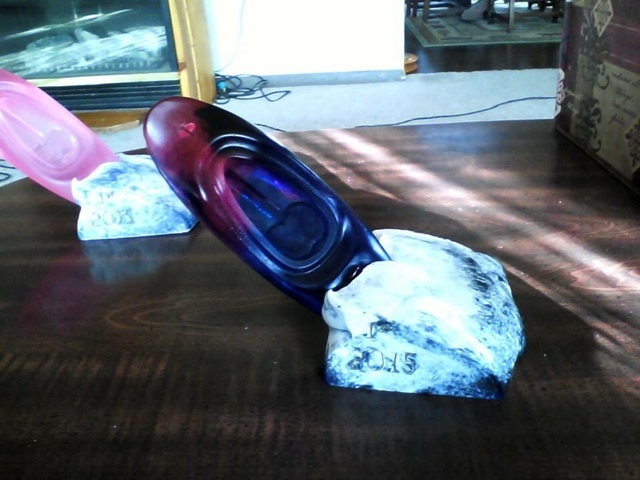 Quick as lightning he got freed and washed downstream, along with float bags, but the boat remained, fully stuck to the rock and completely submerged. Now John McConville stepped up to the plate. He hopped out and after a few tries was able to yank the boat free! 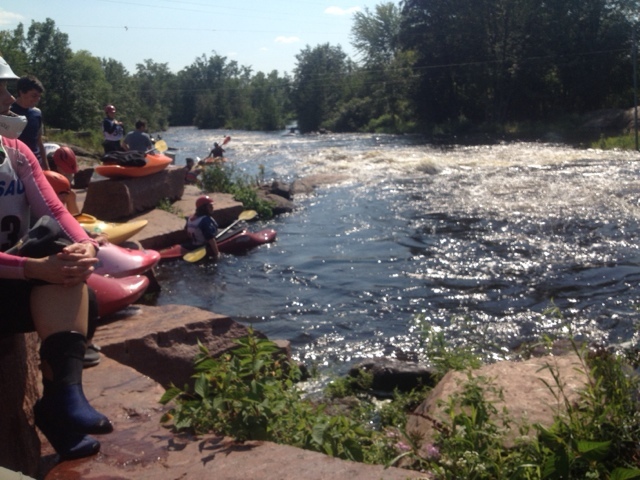 Out it popped and floated downstream amid cheers from the audience and paddlers! All were safe, and the show was back on. 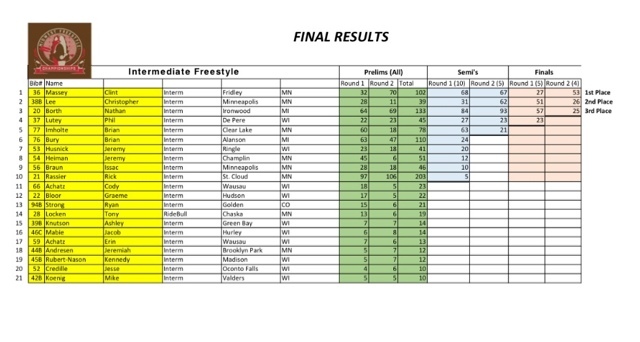 The freestyle competition on Sunday was very entertaining. There were all sorts of advanced moves and combos being made by these top paddlers: Space Godzillas, McNastys, and Phonix Monkeys. 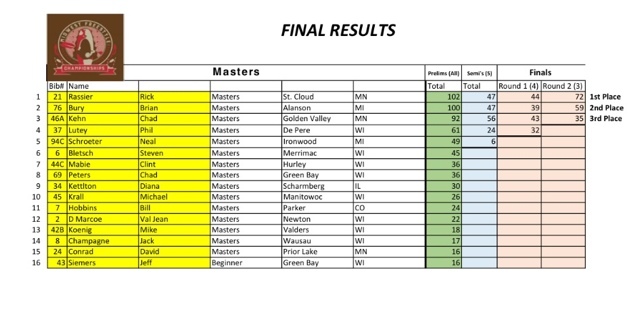 I’m no judge of talent, but Rick Rassier of St Cloud, MN absolutely was killing it out there! Rick doesn’t miss a release weekend here at Wausau and helps around the course, pulling logs and assisting in the annual setup each Spring. For 25 years he played on a one man volleyball team, and was never defeated! He accidentally invented Velcro at the age of 19, and rewards himself with a new boat every month! The star of the show was John McConville. This guy was ABSOLUTLEY amazing to watch, effortlessly linking moves together and always finishing his timed sequences with a flourish. Like I said, I don’t usually watch freestyle events, and I don’t know what’s being performed without the aid of the announcer, but it’s very clear to all in attendance when John hits the hole, it’s NEXT LEVEL. 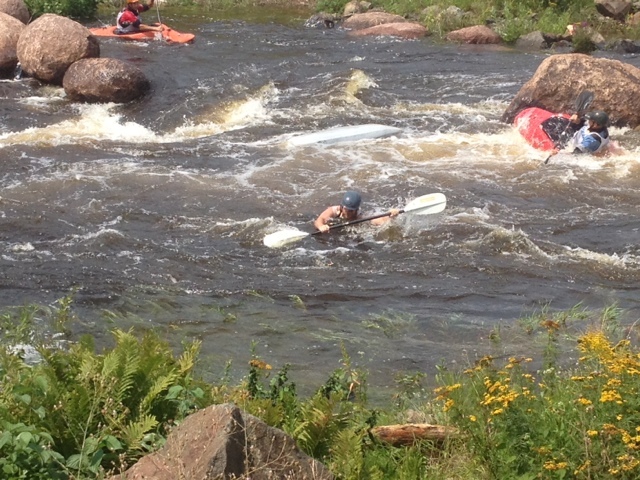 Kudos to all the paddlers for making it all look so steezy. 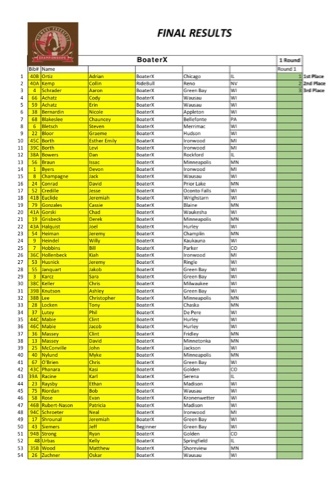 My personal favorite event is always boatercross. 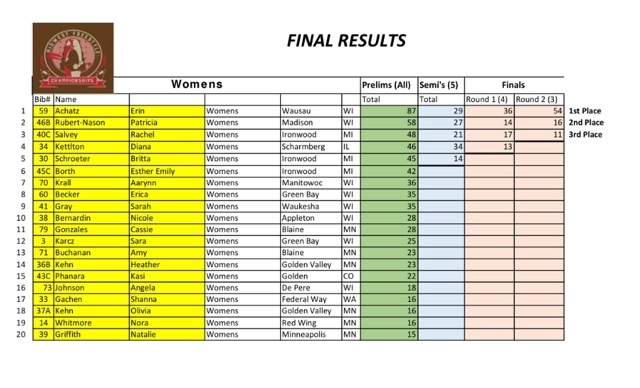 Unlike the other events, where scores are awarded and tallied by judges as the clock ticks, boatercross is pure and simple and easy to follow from shore. Fastest boat wins! 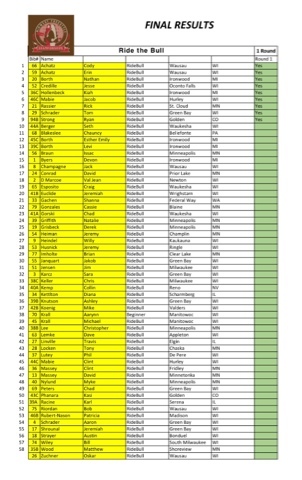 We Admins were stoked as the dust settled and our very own Adrian Ortiz windmilled his way to 1st Place. 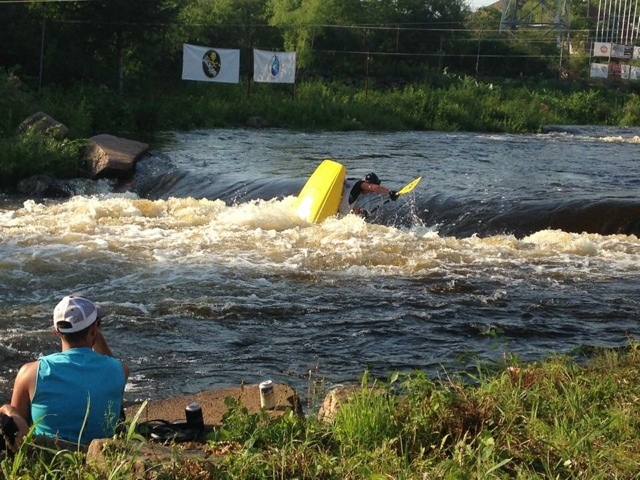 I had watched him do the same back in July at the Illinois Whitewater Festival’s boatercross, but this victory was much sweeter, occurring on this impressive stage against so many top boaters. giới trẻ hiện nay thường sử dụng rất nhiều các loại chất kích thích. Vậy hút bồ đà là gì và hút cỏ mỹ là gì những loại chất kích thích này có gây nghiện không? chim lợn kêu trước nhà báo điều gì và rắn vào nhà báo điềm gì. Đây là những điều mà bạn đọc đang rất quan tâm đến. Loài chim khá đa dạng và linh thiêng. chính vì thế bạn nên lưu ý khi chim bay vào nhà báo điềm gì.